Call HD Foundations For Foundation Repair. We’re Contractors With Experience. Looking for a foundation repair company in Irving, TX? Call HD Foundations. We’re contractors that offer a lifetime guarantee. As an established company with an A+ Better Business Bureau rating, we perform foundation repair service that preserves concrete slabs and pier and beam foundations. It’s often needed to make foundations level. That’s because soils in this part of the metroplex are exceedingly deep and cause foundation movement. During the foundation repair process, the contractors at HD Foundations lift and stabilize houses. That stops their foundations from shifting. We’re a residential foundation repair contractor in Irving that can correctly assess your issues and end foundation damage. 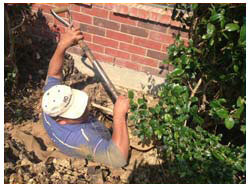 Our company has performed foundation repair in Irving for years. 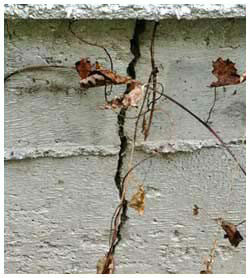 We know how to deal with foundation cracks, as well as problems resulting from sinking, settling or heaving. When making repairs, we install interior and exterior pressed concrete foundation piers or steel piers. As experienced contractors, we also install and adjust foundation shims. Sometimes a simple re-shim is all that’s required. If drainage is a concern, we can install systems that will protect your concrete slab, or eliminate damp crawlspace issues related to mold, mildew and water. We have a solid reputation and we stand behind our work. Get a Lifetime Warranty On Your Foundation. It pays to be covered by HD Foundations’ guarantee. If the piers we install need to be adjusted in the future, you can count on us to honor our commitment. For a thorough inspection on your house, schedule a free foundation repair estimate anywhere in the Irving area today. Or, just call us.